Born in the coastal community of Bennett’s Point, SC and raised in nearby Charleston, SC, Rev. Nelson B. Rivers, III, son of Merelyn and the late Nelson Rivers, Jr., is a preacher of the Gospel and civil rights worker. He has preached at churches in 23 states. He is married to the former Carolyn Smalls of Charleston and has four children and seven grandchildren. He received his bachelor’s degree from Wilberforce University in Ohio, which is the first Black owned and operated university in America. He was ordained at the Olivet Baptist Church of Christ in Fayetteville, GA by the late Dr. Howard W. Creecy, Sr. He is pursuing his Master of Divinity at Erskine Theological Seminary, Due West, SC. He is a life long servant in the fight for justice. In July 2014, Rev. Rivers became Vice President of Religious Affairs and External Relations of the National Action Network (NAN) under the courageous leadership of the Rev. Al Sharpton. Rev. Rivers is honored to work with Rev. Sharpton in an organization known for taking action in todays’ civil rights battles. Rev. Rivers is also Chairman of the Charity Foundation, which through his vision called “Transformation: Liberty Hill” is working to transform the oldest community in North Charleston into “a community of choice, not chance!” In 2017, the Foundation formed a partnership with the Charleston County School District, Boeing, and the Coastal Community Foundation to bring STEM education, for the first time in the county, to a majority Black public school feeder pattern of an elementary, middle school and high school. The Foundation has also launched a program to build affordable housing in the Liberty Hill community. For over 38 years Rev. Rivers worked at every level of the National Association for the Advancement of Colored People (NAACP) including President, North Charleston, South Carolina Branch; Executive Director, South Carolina State Conference; Director, Southeast Region; Chief Operating Officer, twice as Chief of Field Operations, and Vice President of Stakeholder Relations from 2008 until May 2014. His civil rights work led to the election of more than 300 new black elected officials in South Carolina between 1986 and 1994. He was a leading organizer of the largest civil rights demonstration in the history of South Carolina when over 50,000 marched Columbia, SC, January 2000 to demand the removal of the Confederate Battle Flag. Rev. Rivers was there when the flag was finally removed from the front of the capital in 2015. 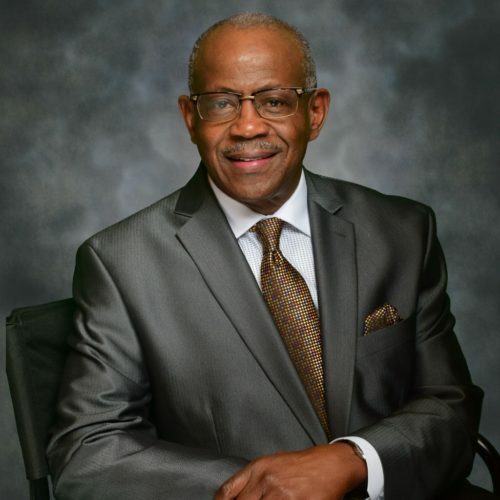 He is Trustee Emeritus of Wilberforce University after serving on the board from 1994-2014. Rev. Rivers was president of the Wilberforce University Alumni Association, from 1994 to 1998. Under his leadership, the alumni contributed over $2 million to the university. He has appeared on BET, NPR, CNN, MSNBC, Sky News and 60 Minutes. He had a speaking role in the movie Separate but Equal starring Sidney Poitier. Rev. Rivers is guided by the words of Jesus the Christ found in the Gospel of Mark 10:43:“Yet it shall not be so among you; but whoever desires to become great among you shall be your servant.”He is honored to be a servant of the people of God!